This new documentary about the Gulabi Gang, a group of women activists in Northern India is being screened in Bristol in November. Please circulate widely. Thanks to everyone who come to our screening of Sweet Sugar Rage last night. For those of you who missed it, you will be glad we recorded Dr Gail Lewis’ response to the film, which is featured below for your listening pleasure. In the audio Gail reflects on the impact of Sistren’s visit to the Brixton Black Women’s Group in the 1980s, exploring how the feminist work translated across borders within the context of a Black feminist movement rooted in anti-imperialist and internationalist politics. Gail also uses the conversation to reflect on how the cultural memory of the Black Women’s movement in the UK has been transmitted, and how this has shaped the politics of knowledge production within contemporary feminism more widely. You can listen and download the audio by clicking through on this link. Our final screening is on Sunday at 1pm. We are showing the Iranian film Facing Mirrors, get your tickets here. We are delighted that Elhum Shakerifar will join us to discuss the film. If you want to read up on the film, and Transgender in Iran more widely, you can read this blog post from the Ajam Media Collective and this article by Afsaneh Najmabadi. 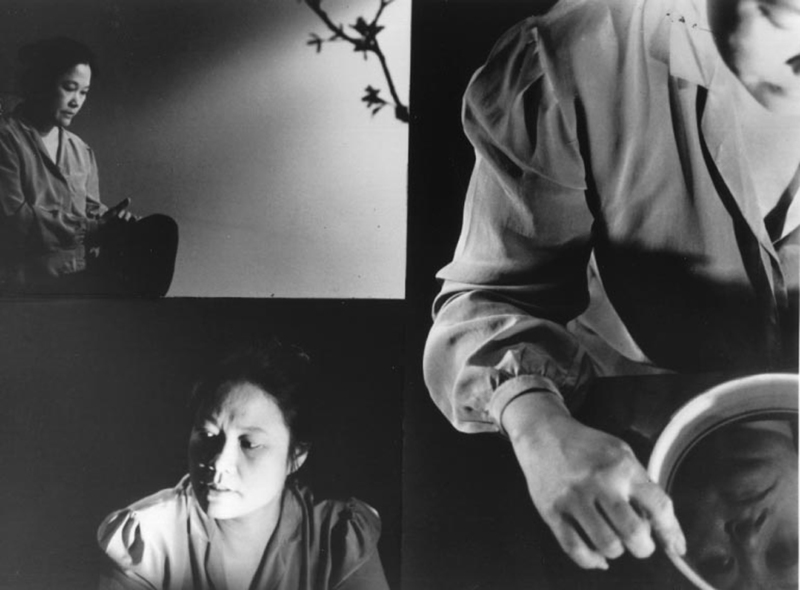 Thanks to everyone who came to today’s screening of Surname Viet, Given Name Nam! We are now moving into the final week of Translation/ Transmission. This means there are only two screenings left! Founded in 1977, Sistren are a women’s popular theatre company based in Kingston, Jamaica, who use drama-in-education as a means of problem solving at a community level; questioning in particular society’s failure to value the work and skills of women. 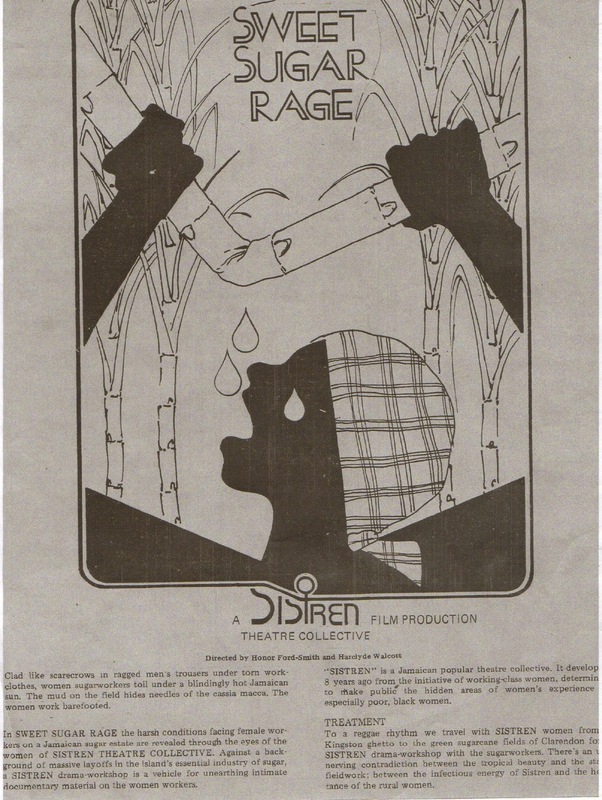 Sweet Sugar Rage highlights the harsh conditions facing female workers on a Jamaican sugar estate in the 80s. We travel from Kingston to the sugar cane fields of Clarendon and back again, guided by an infectious reggae rhythm. The screening will be followed by a discussion with Dr Gail Lewis, long standing member of Brixton Black Women’s Group and a co-founder of the Organisation for Women of African and Asian Descent (OWAAD), who will reflect on her memories of Sistren’s visits to the UK. Set in contemporary Iran, Facing Mirrors is a story of an unlikely and daring friendship that develops despite social norms and religious beliefs. Although Rana is a traditional wife and mother, she is forced to drive a cab to pay off the debt that keeps her husband in prison. By chance she picks up the wealthy and rebellious Edi, who is desperately awaiting a passport to leave the country. At first Rana attempts to help, but when she realizes that Edi is transgender, a dangerous series of conflicts arise. Followed by a response from Elhum Shakerifar, programmer at Bird’s Eye View and documentary producer (The Reluctant Revolutionary). We also have our final reading group meeting at Hydra Books on Wednesday at 7pm, reading ‘The Embodied Afterlives of Translation’ by Bliss Cua Lim. 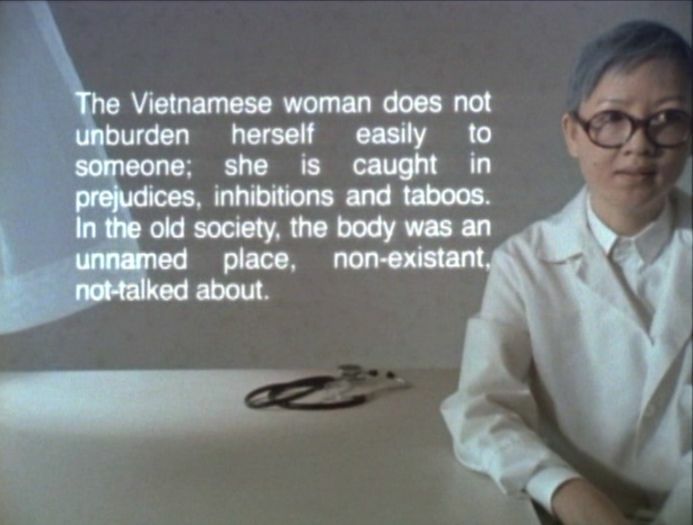 Cultural translation expert Dr Carol O’Sullivan will be facilitating the discussion after Sunday’s screening of Surname Viet, Given Name Nam. Here Carol offers some initial thoughts on the film. I had the very great pleasure today of an advance screening of Trinh T. Minh-ha’s extraordinary 1989 documentary Surname Viet, Given Name Nam. It’s been talked about by researchers in film and in subtitling, so I had known of it for some time but never had a chance to see it because it’s not on commercial release. The lovely folk at the Watershed cinema very kindly allowed me to come in and have a sneak preview, which was a great luxury. I’m particularly interested in how the film plays with text on screen, but as today’s showing showed (ha), the director plays with a lot more than that, including with the documentary format itself. I don’t want to give away too much about it ahead of Sunday’s showing, but readers who know the film already or don’t mind being slightly spoiled may be interested in Jonathan Rosenbaum’s review from back in the day. There’s also a very short preview on Youtube, though it only gives a hint of the film’s richness. The film will be screened in 16mm format. I’m really looking forward to seeing it again. We are reaching the mid-point for Translation/ Transmission so wanted to remind you of what is coming up this week. 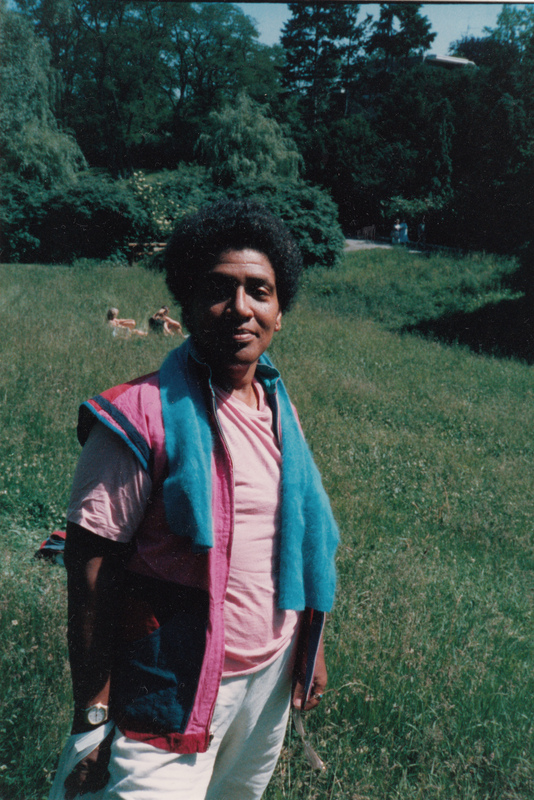 On Tuesday 18 March at 6pm we are showing Dagmar Schultz’s beautiful biopic of her good friend Audre Lorde. The film is an intimate portrayal of Lorde which allows us to see her as a transnational feminist figure who worked hard to facilitate the collective identities of the Afro-German community in Berlin. We will also be screening a very special video made by Alexis Pauline Gumbs, who will be reading a letter she wrote to Audre Lorde as part of her activist-educational project The Eternal Summer of the Black Feminist Mind. Tickets are selling fast so make sure you buy in advance. 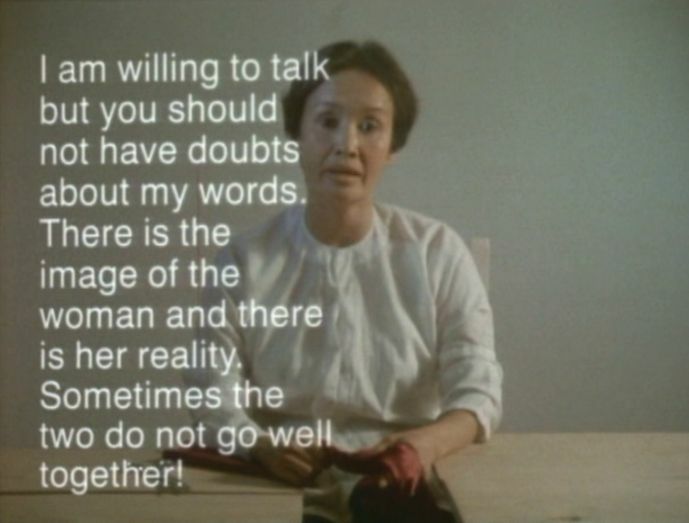 Using dance, printed texts, folk poetry and the words and experiences of Vietnamese women in Vietnam—from both North and South—and the United States, Trinh’s film challenges official culture with the voices of women. Bristol based academic and self-proclaimed film nerd Carol O’Sullivan will be on hand afterwards to help guide the debate. We are reading criticism relating to the film at this Wednesday’s reading group at Hydra books, 7-9pm, if you want to engage with the film’s theoretical ideas. Download the articles here and here – all welcome! 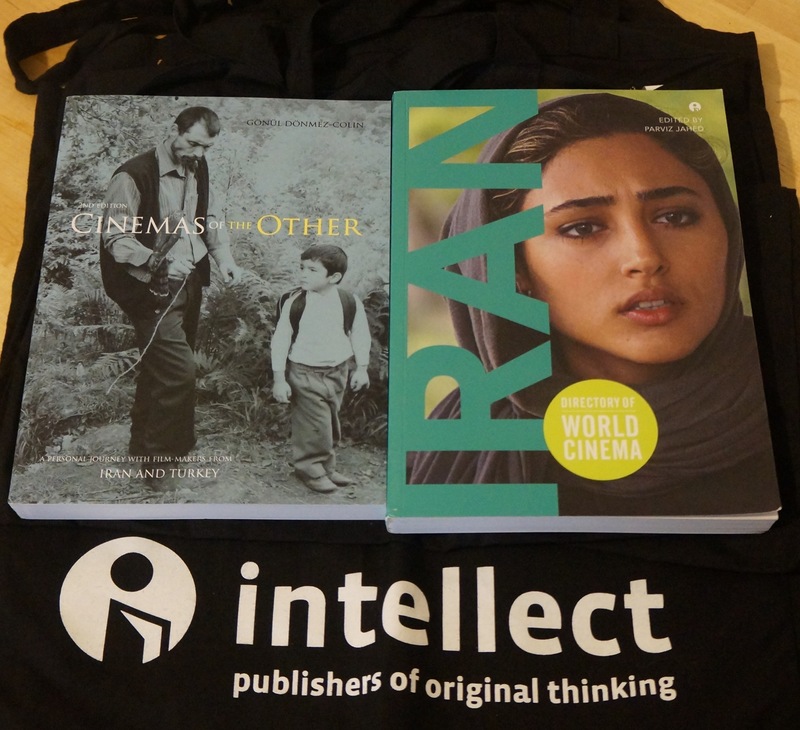 Don’t forget you can buy your tickets for the Intellect Books raffle at all screenings! Hope to see you at Watershed for one of the shows! Translation/ Transmission in the Guardian! Throughout Translation/ Transmission you will have the opportunity to enter a raffle to win a selection of amazing prizes from our supporters, Intellect Books. Intellect, who are based in Bristol, is an independent academic publisher in the fields of creative practice and popular culture, publishing scholarly books and journals in four distinct subject areas: visual arts, film studies, cultural and media studies, and performing arts. To support the season they have donated several prizes from their catalogue, as well as some swanky tote bags. We have two copies each of Cinemas of the Other: A Personal Journey with Film-Makers from Iran and Turkey by Gönül Dönmez-Colin and Directory of World Cinema: Iran, edited by Parviz Jahed, to give away. Also up for grabs is a year-long subscription to the Journal of African Cinemas and Film International. All money raised goes toward the cost of running the film season. Translation/Transmission is a not for profit event. Any donations will help to support the running of the film season.